Chris Bertish is a real-life adventurer. The South African born surfer and stand-up paddleboarder loves pushing himself physically, regularly taking on record breaking challenges. He is also a great motivational speaker, drawing from his personal experiences to inspire others to challenges themselves. In 2009 he was the Mavericks Big Wave Surf champ. His other big passion, stand-up paddle boarding (SUPing), has put him in the limelight many times. 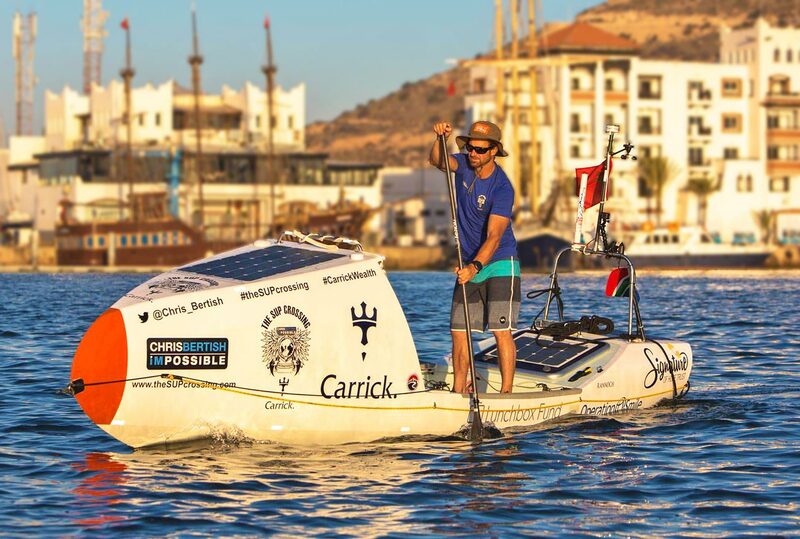 The most recent daring feat he took on, was to be the first person to cross the Atlantic on an unsupported SUP, paddling from Morocco (Africa) to Antigua (Caribbean). In March 2017, after roughly two million strokes and 93 days, Chris successfully completed the solo journey. There was method to his madness, Chris linked his record breaking experience to three charities: Operation Smile, The Lunchbox Fund, and Signature of Hope. He managed to raise R6 million, changing countless lives forever. These three charities help kids born with a cleft lip or palate smile with confidence again, provide kids with a healthy meal at school each day, and help to build schools in rural communities. Carrick Wealth was one of his main corporate supporters. Chris planned his daring feat for five years, tweaking the paddleboard and equipment needed to accomplish the dangerous trip. He created a 6-meter-long customized board, weighing 350 kilograms. That might sound quite heavy to you, but he says that you still feel like a little cork being tossed around in the ocean. The board is much lighter than an average small boat. Only 10 centimetres separated him from the unpredictable ocean. He also carried 350 kilograms of food, meaning he was pushing roughly 700 kilograms across the Atlantic, with only his paddle to make progress. The customized craft included a small cabin that Chris used to overnight in and hide from rough weather. It also protected the equipment needed to steer and sustain him across the open waters – a radar, MacBook, water purifier, radio, satellite phone, bilge pump, navigation lighting and solar power, as well as battery banks to keep all the equipment charged. He had to plan every little detail of his trip, for instance purifying water instead of transporting 10 litres of water times 90 days. Even with all the careful planning, he still faced many unexpected challenges. At one stage, most of his equipment failed him, except the radar. Luckily it kept working, he needed the radar to inform passing ships of his presence. Beside the tricky weather conditions, Chris had to deal with curious sea creatures, including sharks. The carefully constructed board also failed him at times, the main steering broke down after only a few days at sea. He had to think quickly to figure out an alternative. It also regularly filled with water. He needed to pump out water almost every two weeks, carefully keeping an eye on his food stock and equipment in the process, as to not let anything valuable float away. Most of the time his feet and ankles were covered in water. Chris was aiming to hit Florida, which would have been a trip of roughly 7 400 kilometres. But due to harsh weather conditions slowing him down and forcing him Southwards, he decided to set his aim on the Caribbean islands, setting a record of just over 6 500 kilometres. He aimed at paddling between 12 to 15 hours per day. To limit his sun exposure, he mostly made progress during the night. At one stage the battery banks stopped charging properly, resulting in Chris having to juggle the available power between his equipment and water purifier. He cut down to only 5.3 litres of water per day, stretching his physical capacity to the limit. Sports doctors recommend a litre of water per hour during any extreme sport activity. Chris now has first-hand experience of how you can train your body to overcome difficulty, so long as you have an end goal to focus on. Chris has been building up to this epic record breaking moment over the years. He was the first guy to paddle in on his own, instead of being towed, at Jaws in 2000. Next, he won the Maverick’s Big Wave Invitational in 2010, riding the biggest recorded wave in history. 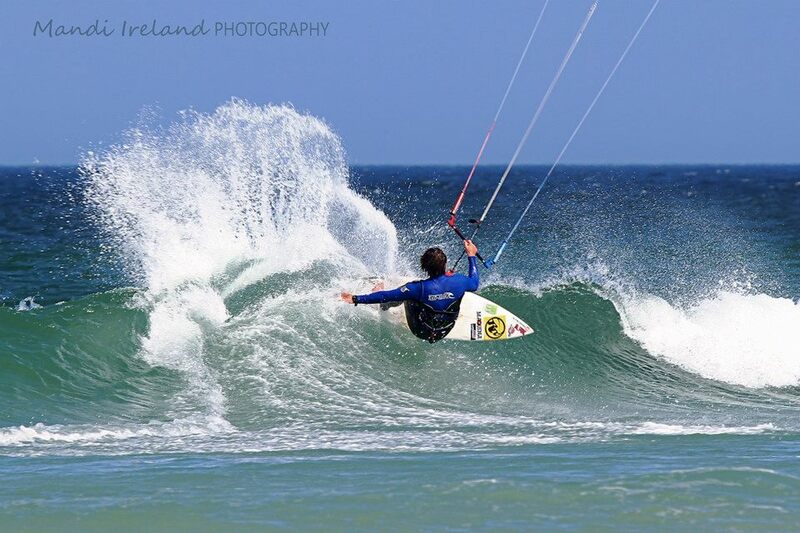 In 2012 he SUPed 320km up the South African West Coast. He faced huge waves, trying winds and even sharks. All while being unsupported and unassisted on his board containing his tent, food and communication devices. Next on his to-do list, was to set a new Downwind World Record for the 12-hour open ocean world record paddle. His aim was 120 kilometres. With the mighty South Easter assisting him in December 2013, he managed to set a new record at 130 kilometres. And in January 2015 he took on the 24-hour open ocean SUP world record. He paddled 131.8 kilometres, setting a new all-African and South African record. “It was pretty radical, pretty incredible, driven by a passion and a purpose greater than yourself – and that powered me to get through everything, day in and day out,” said Chris Bertish in an interview with National Geographic. Taking on the challenge of paddling across the Atlantic on a SUP, he knew what he was in for. Before the trip he bulked up to a robust 80kgs. By the end of his 93-day journey, he slimmed down to approximately 65kg. Even his choice of an epic full beard was done on purpose, protecting his face from the harsh elements. Biltong was his choice of energy food, as well as chocolate and a special electrolyte shake. On the technical side, he packed two different paddles, a long and short shaft. With his food stock diminishing during the trip, the boat’s waterline changed. He had one very strange encounter, with his parachute anchor getting caught on something, something big. Chris speculates that it might have been a whale, or possibly a giant squid! For a moment he was pulled backwards, until the anchor freed itself again. “Nothing is impossible, unless you believe it to be!” says Chris. 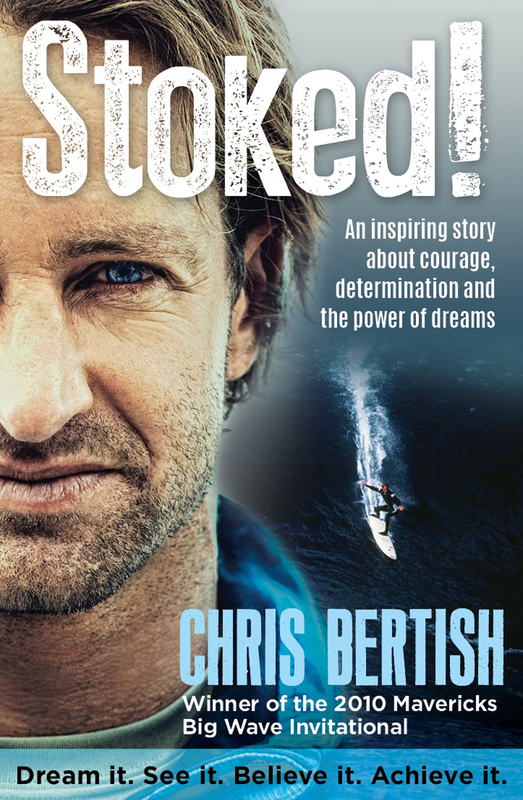 The inspirational man has captured his story in a book called Stoked! 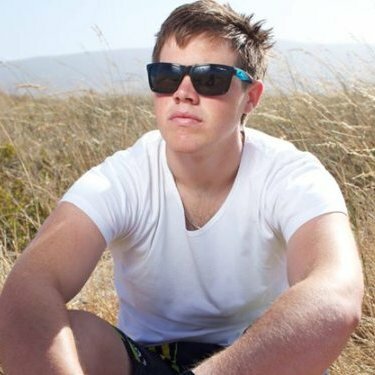 Find out how a boy from Kenilworth in Cape Town managed to travel the world, without sponsorship. Then go on to outwit and outperform the world’s best-paid professional surfers in a big-wave surfing event. His story is filled with the power of dreams, courage, and determination in action. 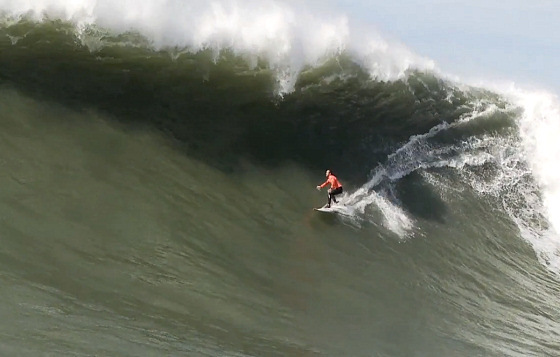 Chris was the first South African to conquer the monstrous waves of the Mavericks Big Wave Invitational surfing event. He mastered the biggest waves ever recorded at a sporting event. In the same year he managed to finish third during the Big Wave World Tour, and he only surfed at three of the five events. Dream it – See it – Believe it – Achieve it. This is his life mantra. Chris uses his infectious enthusiasm to inspire others to pursue their own dreams. He regularly appears as motivational speaker at events, impressing the crowds with stories of his death-defying feats. Order a signed copy or buy the kindle version. 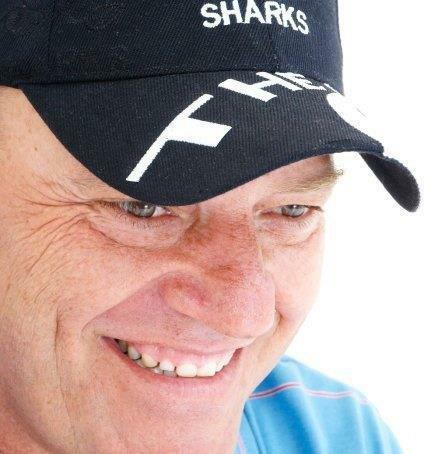 Billy Ackerman was originally born in Durban in 1957 and started to surf there at a very young age, till they transferred to Cape Town in 1985. Presently, he is working at the biggest Valve Supplying Company in RSA, as one of the Tech Sales Team members. He loves to travel and search for new surfing spots. It was at the age of 13 when Billy first took up photography. He started taking black and white pictures, considering that color was very costly to develop at that time. “I turned all my late Mom’s spare rooms/bathrooms into dark rooms, hahaha!” he laughed. He began his passion in surfing photography after he got the first Gunston 500 right on his doorstep and seeing all those photographers with their long lenses. Of course as a beginner, he had a lot of questions and his idols in surfing photography were and will always be Patrick Flanagan and Chris Van Leppan, who were actually the frontrunners when it comes to surfing photography. When he went to Durban to celebrate their 35th Wedge Reunion, a good friend named Dawn Rouse, who happens to be a surfing photographer in Durban, came up with the name PB (Photo Buddies) and that started his PB surfing page on Facebook. He started the page to feed this surfing and boadyboarding family with pictures, as not everyone can afford to get a photo of themselves in a magazine. During his days, he surfed with the likes of Paul, Mike and Shaun Tomson, as well as Mike Esposito. “ They are trying to get me to start long boarding again but I can’t stand surfing in a wetsuit and the water here is too cold, ahahaha!”, he exclaimed with laugh. Billy also plays golf every now and then, when he is not hiding behind his camera. “It is a great way to relax when there’s no surf around, and I also cycle to keep me fit, and will be doing my 7th Argus next year”, he explained. He also is a fan of the Sharks Rugby team. Other than surfing, he also enjoys shooting any type of sports. In fact, Pierre Marqua has recently introduced him to downhill mountain bike racing and he did his first shoot and is looking forward to shoot in Tokai forest. 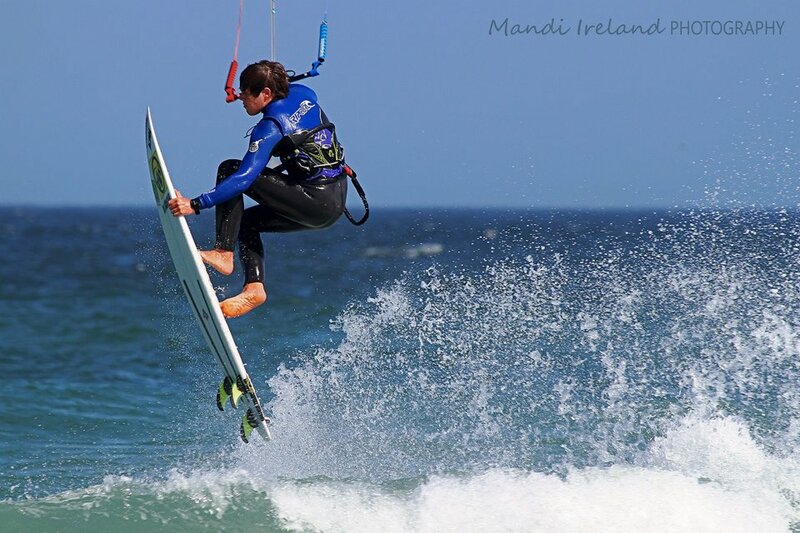 This year, he spent some time in Jbay taking on the Billabong Pro event. “It was a very well-run event, best in years!”, he says. For him, Brazillians stood out from the rest as they stick together and root for one another. Us Saffa’s take defeat lying down too easily, that’s just my personal opinion”, he added. When it comes to surfing shots, he mainly uses the Canon 7D with 70-200 mm f/2.8 as well as his baby 400 mm f/2.8 lens. With regards to the photo editing software, he uses Lightroom 4 and Photoshop CS5. His favorite location to shoot is Llandudno. “I lived there for 12 years, so yes it’s still my favorite spot as it just has something about it that’s hard to describe”, he explained. He offers his photos for sale as prints, but he also makes up a DVD for anyone who wants more than one photo. If you were to ask him something about himself that we don’t know, his answers would be, “I am just a down to earth guy who loves life and enjoys spending time with family and friends. If he could spend a day taking photos of one surfer at a certain spot, it would be Shaun Tomson at his favorite spot “The Bay of Plenty”.